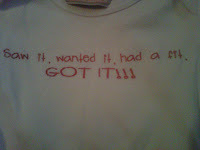 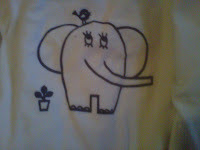 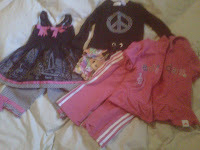 Always Think Bigger: NEW CLOTHES!!! 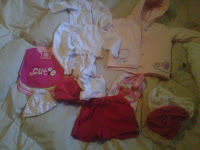 My friend and old boss, had a baby about 16 months ago and she is growing so quickly! In her abundant kindness, this friend gave me a giant box full of clothes, a swing, a bumbo (with the tray! ), a breastfeeding pillow, a kick mat, a carseat and the base, a baby food maker, a baby bumper for the bassinet, a steamer sterilizer for the microwave, a play yard and a bassinet!!!! 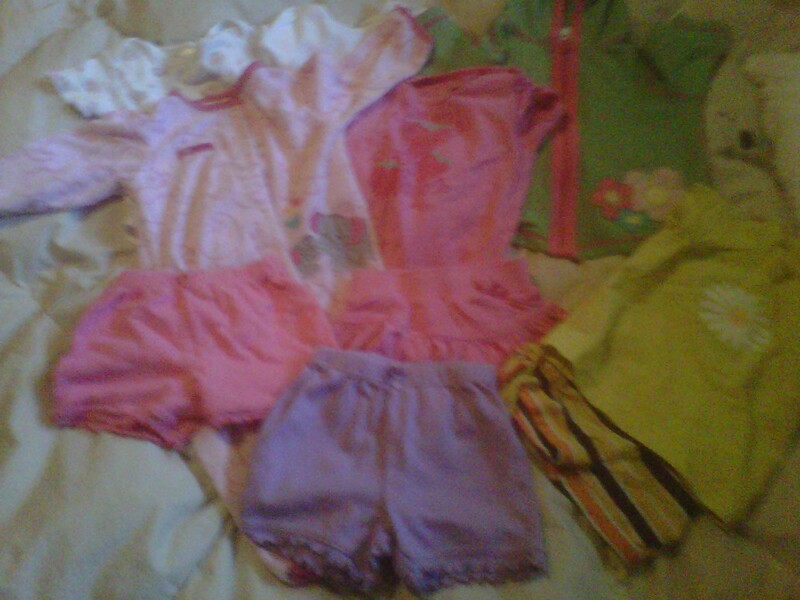 Here are a few pictures of the awesome clothes that she gave us!!! 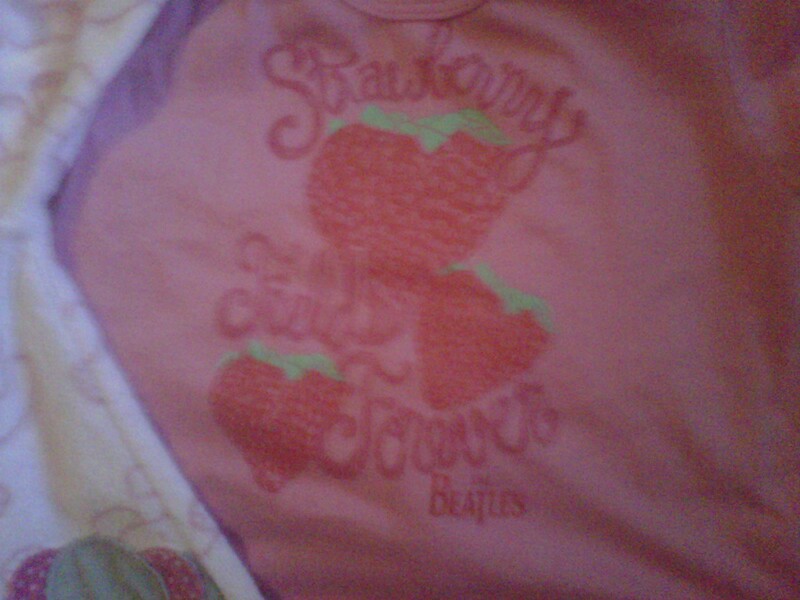 The Beatles just seem so much cooler when they're on a baby onsie! I love the sleepers, didn't know I would, but they're cute too! 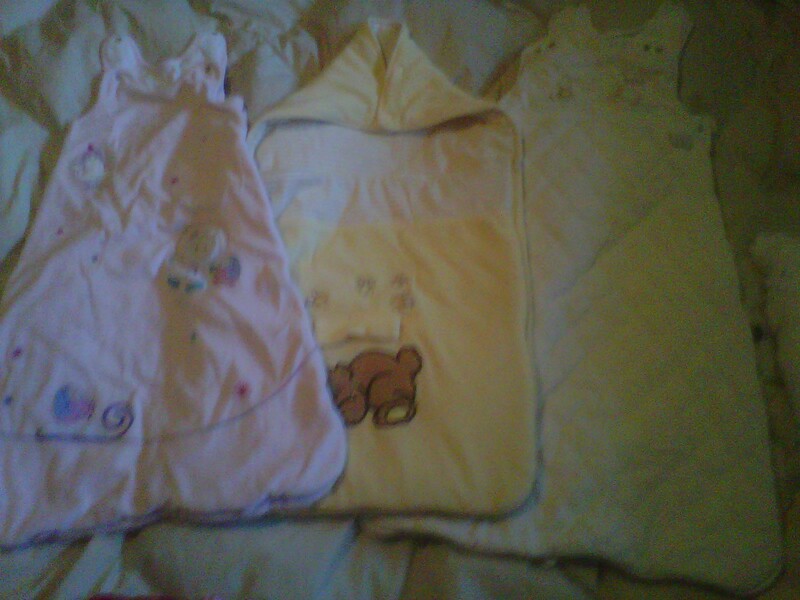 The hats, the bibs, the jackets, it's all so tiny and cute!!! I love this one!!! 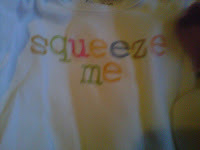 I know for sure that this is going to be one of my favorite little onsies to see the baby in! 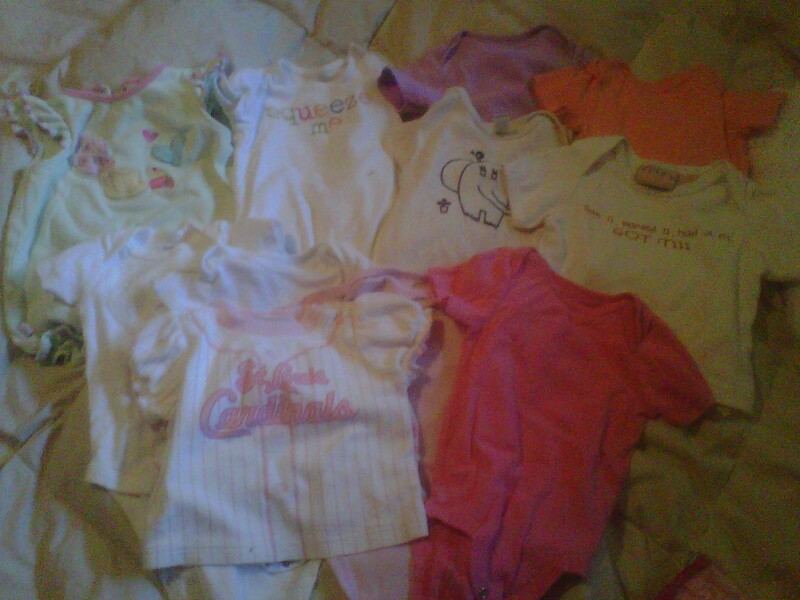 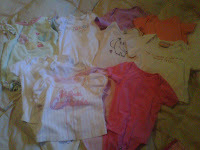 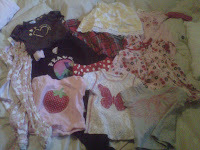 Tons of cute girly things to be worn by what will surely be one of the cutest and girliest little girls!! Are these too cute or what??? I feel so lucky to have all these new things for the baby.